• Teaching and practice of Reiki hand position for self-healing, chair treatment, and lying on a plinth while using the symbols. 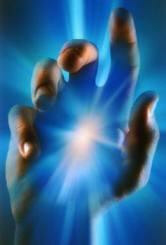 • Each student to practice giving and receiving Reiki incorporating the use of the symbols. • Sharing of feedback since first level initiation and the experience of using Reiki on self and family and friends. • Teaching the importance of personal energy management, protection, self-care and well being while giving and receiving Reiki. Once students have completed Second Level you may progress onto Third Level (Personal Use) or Reiki Practioner Training if you choose. Balance Due: All fees must be paid on the morning of the first day before the start of the workshop in cash, thank you. Please note that due to the large number of bounced checks in the current financial climate, being received by the college that payment must be in cash, postal order or direct in bank ( details available upon request) . Clothing: Please wear loose comfortable clothing, please bring slippers and warm socks. Directions/Parking: If you drive down Trimgate Street the parking barrier into St.Mary’s Church will be open from 9.45am-9.55am only and you can drive in then. Otherwise we are situated in the center of town and all the long term car parks are within 5-10mins walk. They are only €2.50 for the day otherwise parking is €1.30 per hour. Please note that we cannot interrupt class for cars to be moved. Parking is free in the evenings and all day Sunday on any Street. For new comers to the College we are in the centre of Navan in the grounds of the Catholic Church yard (St. Mary’s), when you come to church yard please telephone me as we are very difficult to find and I will come and get you. Please don’t ask anybody where we are as there are many businesses in large buildings, so call me on 0868635241 or 0469060600 and don’t worry you can’t get lost! Please do not hesitate to get in contact if we can be of any further assistance and I will have my phone on the day of the course in case you get a little lost. A Follow up class is provided.